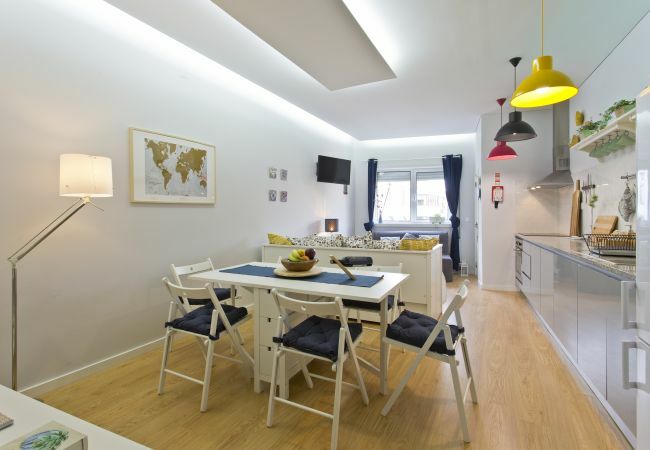 Live a local's life in the heart of Porto! 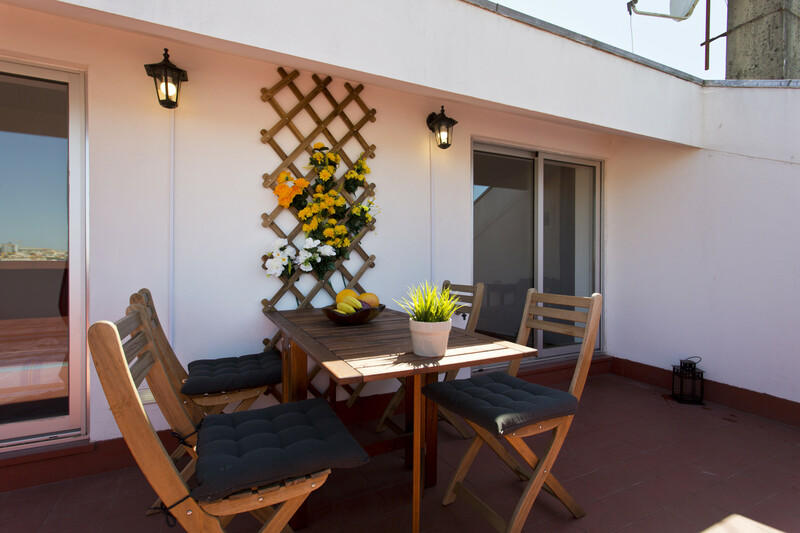 You’ll find a spacious and luxurious duplex with free WiFi and a big terrace located in the city center and which will provide you a great atmosphere. 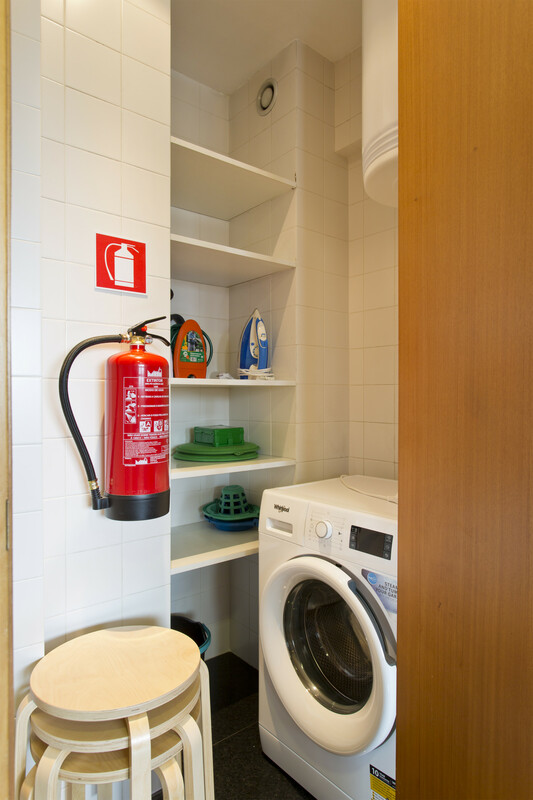 It is the best option for families, groups and businesses travelers who want to enjoy everything Porto has to offer. If you have a car, we have a garage just for you! 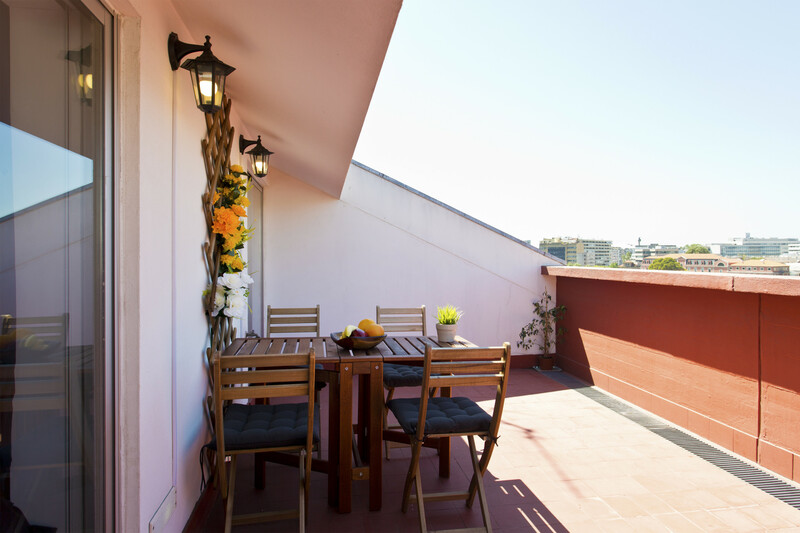 You will stay in a spacious and premium apartment which has all the amenities for an epic stay. 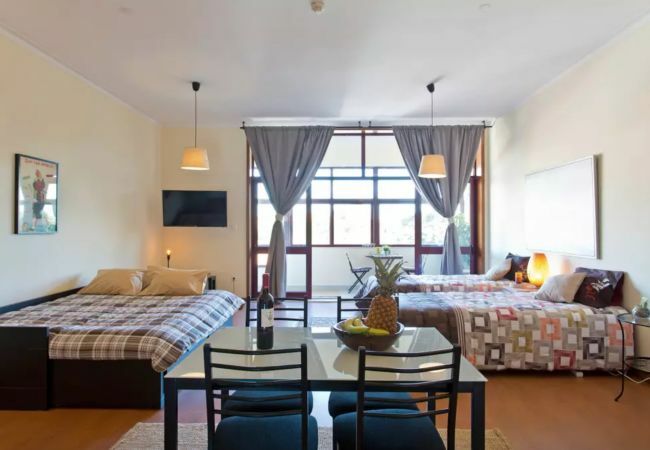 You have 8 comfortable beds to have a gorgeous night of sleep, a sofa to rest and have a chat with friends or family and a great kitchen to cook the best delicacies of the city. 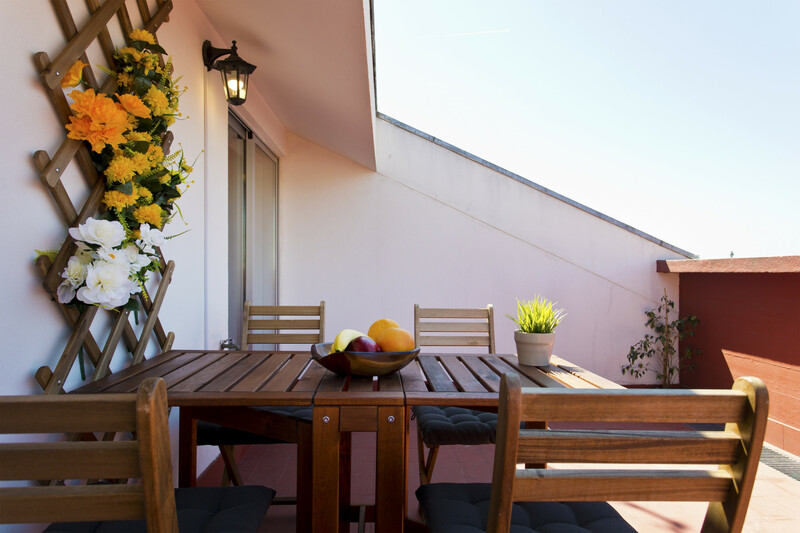 You have a big terrace just for you to have great night talks while you drink a glass of wine. Also, take the opportunity for some sunbathing. Do you have a car? Do not worry about parking, we have a garage just for you free of costs! Clérigos is just 10 minutes from the flat. Also, you are near Aliados and Trindade. If you arrive earlier contact us to try to arrange a solution. Also, you have lockers at Trindade metro station to keep your luggage. We will always be available and we will give you all the tips to never forget this experience. 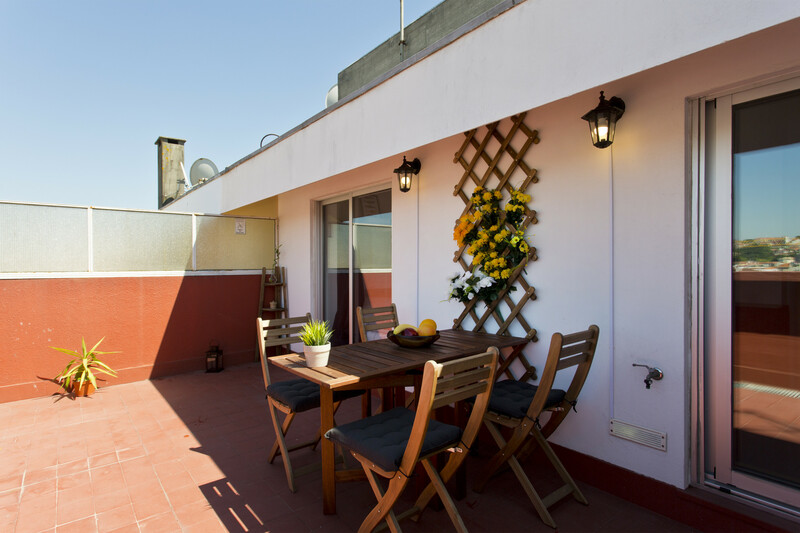 1 TV, TV Satellite, lift, 69 m² terrace, iron, internet (Wi-Fi), 169 m² property, central heating, Garage in the same building. Nice stay at Renato´s flat. Joana was really kind . Would stay again for sure. Thank you. 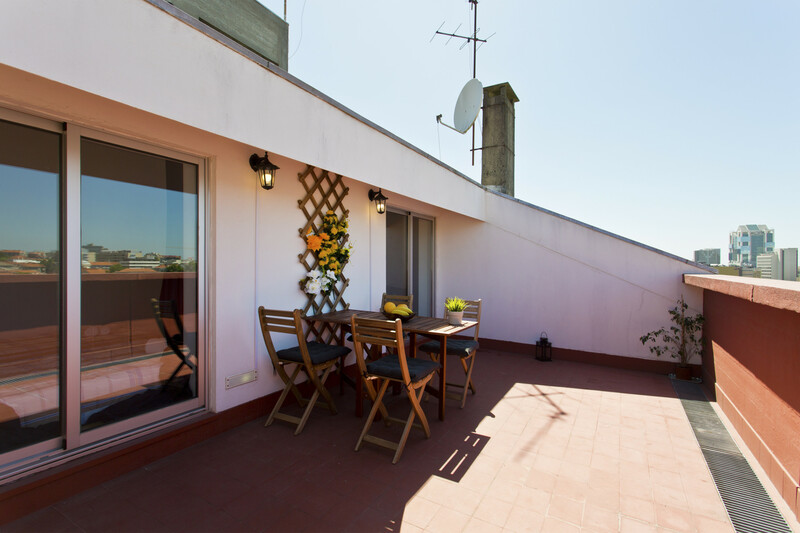 A very spacious modern and clean top floor apartment with very own private parking spot located underground. Throughly recommend for large groups of people who wish to stay in the heart of Porto! 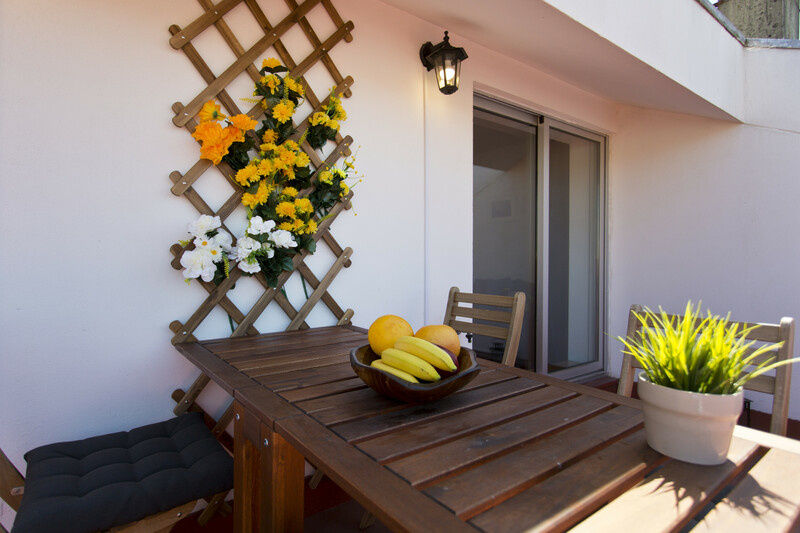 Beautiful sunny and has two beautiful balconies. The room is quiet and tidy. And it has a basement and two parking spaces. Everything is satisfactory!